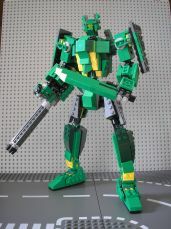 LEGO報告總目錄(按會員所發報告的數量排序) - LEGO報告發表處 - 人仔倉討論區(Minifigs Forum) 人仔倉, minifigs, minifigs.net, Lego, 香港樂高, 積木,City, Castle, Train, Space, Star Wars, Town - Powered by Discuz! Updated on 2011-07-22 at 23:11:14. Yes, you are right. The number is the uid (unique ID used in the database of our forum. Since if members issued same number of reports, their name will be sorted by member number in ascending order.